SEO is a mystery that has many people baffled. Does it work? Is it real? Can I just use keywords? These are all very valid questions that we will cover together, and hopefully, shed some light on SEO and development. 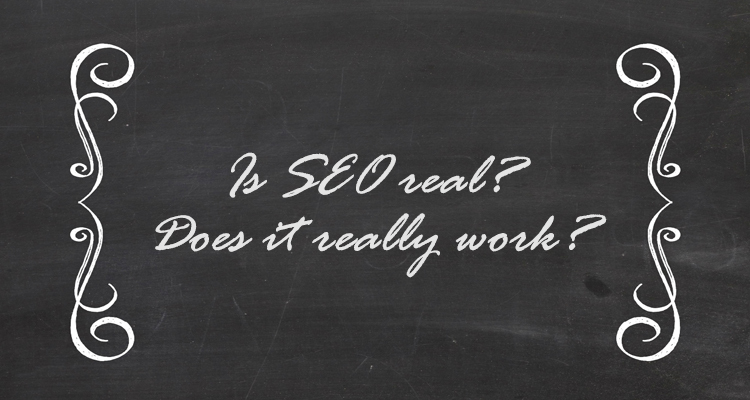 Does SEO really work? Yes. For example, a client of mine has managed to go from an AdWords dependent strategy to and spending $140 a day, to only investing a dollar a day into AdWords. That is a huge saving for the client. My client recently sat and crunched the numbers, and was pleasantly surprised by how well his site was performing. According to his calculations, his site traffic has increased by 2770%. In just 6 months. He is no longer dependent on AdWords and has been able to hire more employees and buy a van for his new employees. He is almost to the point where he either has to hire another person and get them a work van or start turning away work. That is a great turn around for him. Can’t I just use keywords? In 2004 Keywords were great. Keywords were able to get you found. That is no longer the case. SEO is now comprised of so many variables that keywords alone are not enough. There are over 256 different things that search engines look at your site to decide how to rank your website. In 2015 Google decided that if your website was not mobile friendly it would not rank your site mobile anymore. Now in 2016 there is AMP. Accelerated Mobile Project. This is for mobile devices only and will also pay off in rankings. Going forward it is anyone’s guess as to what the future will hold for SEO and get your site seen. The important part is having dynamic content throughout your site that Google can draw from, and have your site up to date with the current SEO practices.